Welcome to A & R Custom Tinting LLC, your premier source of window tinting. A & R Custom Tinting LLC is dedicated to providing you with the best auto tinting experience possible. The professionals at A & R Custom Tinting LLC are trained and certified to serve all of your window tinting needs quickly and affordably, with a world class customer service attitude! A & R Custom Tinting LLC uses only LLumar window film which is the nation's largest manufacturer of window film. LLumar window film comes with a lifetime nationwide warranty. We provide our customers with the best window film at the best price. We specialize in auto tinting for all makes and models of vehicles with only the highest quality window film and great customer service. We offer window tinting with a variety of different transparencies. All of our work is performed by highly skilled and certified tint technicians in a clean, controlled indoor environment. We also offer complete auto detailing services. If you need your car cleaned, you can bring it to our shop and we'll take care of it. Our auto detailing is always recommended before you sell your car. Our detailing is a great way to make your car feel new again! Expert custom window tinting services! LLumar window film prevents 99% of the harmful UV rays and up to 62% of the heat from coming into your car. This helps improve your fuel economy by reducing your need for air-conditioning. Tinting also stops interior damage from the sun and helps with the resale value of your car. We want to help your car to look its best and keep you comfortable. So if you are looking for the best window tinting company in Gulf Breeze, give us a call at 850-232-6760 or stop by today and let us tint your car! A & R Custom Tinting LLC can also repair your vehicle. Rob at A & R Custom Tinting LLC has over twenty five years experience in mechanics and paint and body repair. If you are having a problem with you vehicle, give us a call at 850-232-6760 and schedule a time to have Rob take a look at it.Florida Registration: MV-88117. Proudly serving the Gulf Breeze, FL and surrounding areas. Find out how you can receive a $1 per square foot rebate through Gulf Power with qualifying window films, and to set up a free estimate on your home. Call Alicia today at 850-232-6760 for details. 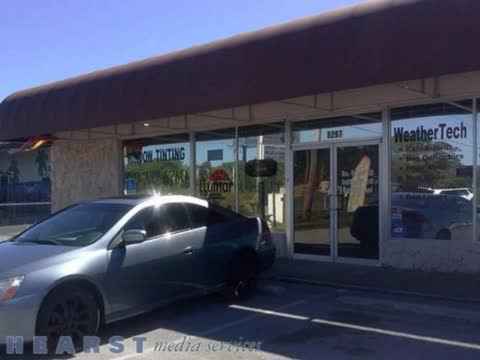 A&R Custom Tinting is the leader for window tinting in Gulf Breeze, FL. We offer services for tinting everything from you car to your business. Our professional staff is dedicated to providing the highest quality work and great customer service. We perform all of our auto tinting in our interior shop that is clean and well maintained. We also offer a satisfaction gaurantee on our work!